There are few things more annoying than a house guest that doesn’t quite look after your belongings as vigilantly as you do. During the Christmas Feast, as your favourite nephew drops a large saucepan in your Shaws of Darwen sink, you can be confident that the sink should stand up to the abuse, but might want to take reassurance by protecting your sink with a Shaws of Darwen handcrafted Sink Grid. 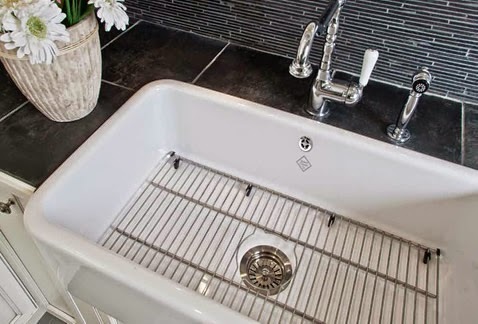 Each Sink Grid size has been manufactured by hand, using the world's finest quality stainless steel, to match the size of your Shaws sink for durable yet elegant protection. Make sure you enjoy Christmas without the extra worry, by clicking on the link below and placing your order before 5pm Wednesday 17th December for delivery before Christmas.